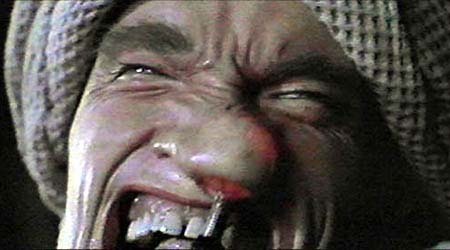 The HomeGame congratulates Governor Arnold Schwarzenegger on his incredible election victory in California. We're confident he'll come up with a whole mess of new ideas to combat the state's deeply-rooted problems. It is an ill-disguised secret that HomeGame activities have subsided in recent years. In keeping with the philosophy that binds our cranky muses, we naturally blame everybody and everything in sight for the decline. The Sci-Fi Channel --- Who canned MST3K (the funniest science fiction puppet show since 'Stingray'), then split their cable feed so that HomeGamers in different time zones could not synchronize the heckling of SciFi movies. Fox-TV --- Who abandoned their production of original tv movies when Nielsen surveys revealed that only HomeGamers were watching them. TBS --- Whose current policy is to show the same 20 movies over and over, half of them starring Michael Douglas. TNN (formerly The Nashville Network) --- Having suffered only one HomeGame treatment of their precious 18 Wheels Of Justice, the channel changed its identity and its audience demographics. The Internet --- The same miracle that made the HomeGame feasible kept tempting members with other distractions. Who knew? Reality --- Which has culled people from our ranks with the vague promise of full, productive lives. Nevertheless, we do intend to gather on those odd occasions when the conditions are right, when the forces of cable-tv mediocrity come into alignment with cyberspace. After all, without HomeGame recognition, most cinematic trash would simply go to waste. As part of its ongoing policy of right-sizing, the SciFi Channel has shut the HomeGame out of its chatroom. Open the vault and read through the hundreds of HomeGame adventures. Have a question about MST-HomeGame? Just curious about how this rag-tag team of ex-masked Mexican wrestlers got together? 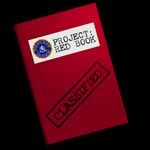 Most of your answer are contained in the Department of Defense's, "Project: Red Book," AKA Frequently Asked Questions. Would you like to join us, but really don't know how? 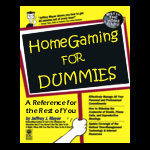 Feel free to read over "Homegaming for Dummies", a comprehensive guide on how to find us and what to do to get there. Tiny Lister says, "This section changed me life. Once I learned what they taught me here, I was able to contact all my favorite HomeGame personalities and watch them live in action!" Another of our features is the MST-HG Spotlight. This area will allow us to focus in on some issues that may slip through the cracks otherwise. In a perfect world, this will have a new feature article every week, but you and I both know that may or may not actually happen. Decorate your computer desktop with official MST-HomeGame icons and wallpapers . Rumor in the Hollywood gossip circle is Martha Stewart and Katie Brown love them. Send greetings to all your family and friends using official MST-HomeGame e-cards. 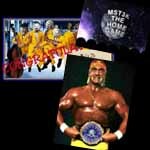 What better way to say "I love you" than with a greeting from HomeGame spokespersons Hulk Hogan, George Kennedy, and Tiny Lister? Send an internet greeting card. 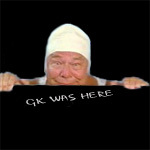 Yes, just like Kilroy, and GK, you too can now leave your mark on the HomeGame. Simply follow this to the official MST-HomeGame Guestbook. We've taken the time to provide you with a guestbook that will understand html, so don't be afraid to give your entry it's all. Please feel free to add yourself to our mailing list to get exclusive HomeGame News. If at anytime you no longer desire cutting edge reports on the HomeGame, just remove yourself. Another innovation brought to you by HG Industries. In order for you to now purchase the fine films we showcase here, we have aligned ourselves with Amazon. 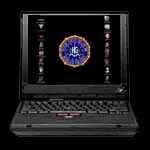 You can use this search box to look for something, or in the individual game pages, we will have an icon of a book, dvd, or videotape that will take you to the correct page to place your order. We thank you for any and all support.